Many of my emails are from sweet families who have never been to Disney. They are confused, concerned and they don't know where to begin. How much does it cost? Why do you say no park hopper tickets? My kids are _ and _ years old...what should we do??? What is a meal plan? How do we get one? This post is my attempt to strip away the extra confusion and break it down to help every family understand all this "Disney Talk." When booking our rooms, what do you mean "inside the parks"? Staying "in the parks" is Disney talk for staying on Disney property. You are in a Disney resort, which enables you to buy the meal plan and takes away the need for a car. Disney has a tram system that goes to every hotel, every park and more. You will be easily transported every day. Why do you say no park hopper tickets? What are they? "Park Hoppers" are tickets that enable you to go to as many parks a day as you please. You can go to one park in the morning and another at night. Or one park in the morning, one for lunch and one for dinner. It's up to you. I'm not a huge fan of park hoppers when bringing little kids to Disney World. If you want to go back out at night after a day at the Magic Kingdom, go back to the Magic Kingdom. The only tricky part of sticking with one park a day is planning your meals. If you are doing the dining plan (more on that below) you will need to plan accordingly. To read more, check out my book on Amazon! 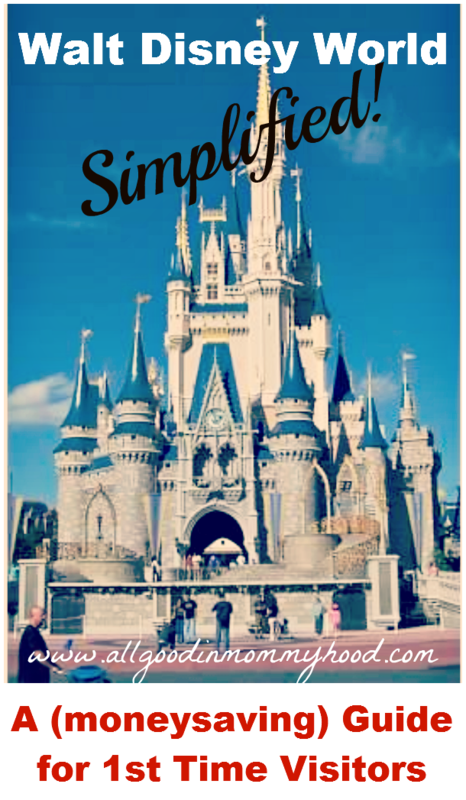 Click HERE to order Walt Disney World Tips n' Tricks online! These tips are wonderful. Thanks so much. You can also preorder groceries from some grocery stores for $6 plus the price of the groceries and they will deliver to your room....just an alternative to packing...especially if you're flying! That's a great tip about bringing your own food, especially snacks, for the little ones. And if you have a little one with food allergies, this is even MORE important. My little one cannot have any dairy or peanut, but we did the dining plan anyway. The chefs were great and accommodated us as well as could be expected, but understandably, the selection was quite limited. If I did it over again, I'd have brought more stuff from home to help round out the meals for my child. Another tip: If you don't want to buy souvenirs before you leave for your trip, or at the parks. Go shopping at Target while you're in florida. If you want to let your kids do the character signing books or the lanyards for pin trading, get them from Target on the way to the park. They are a fraction of the cost, and you have many more choices. A tip we found was not far from resorts was a Walmart we bought groceries, Plus the largest selection of disney items in one place I've ever seen. We bought all our t-shirts and souvineirs there. SO SMART! I ALWAYS FORGET ABOUT THIS! Thank you so much for the tips. Our entire family is going in November. This will help tons! so, if I don't get a park hopper ticket, and we go take a nap in the afternoon, we can come back to the same park?? Mary, absolutely! You can go back to same park if you need a break. Thank you for laying it all out there. I was a little frazzled just thinking about it and trying to plan a vacation for a family of 6, plus additional family meeting us down there. This helps me map out a plan and take action! 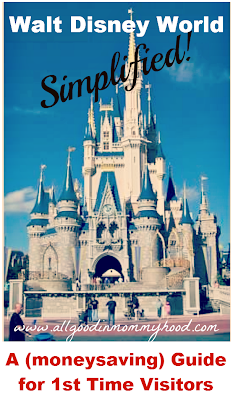 We are planning to go during spring break (April 2014). We actually got roped into one of those timeshare deals... 4 days and 3 nights...does anyone have any suggestions to make Disney a little cheaper regarding tickets for the parks? Any information is appreciated!!!! Throw in your two cents! FREE Disney Dining Plan Deal!